Self-tanning body mist provides luxurious care and makes the skin gradually acquire a golden shade. Thanks to a two-phase formula of the mist, the product spreads uniformly and is immediately absorbed, leaving a subtle and beautiful scent on the skin. 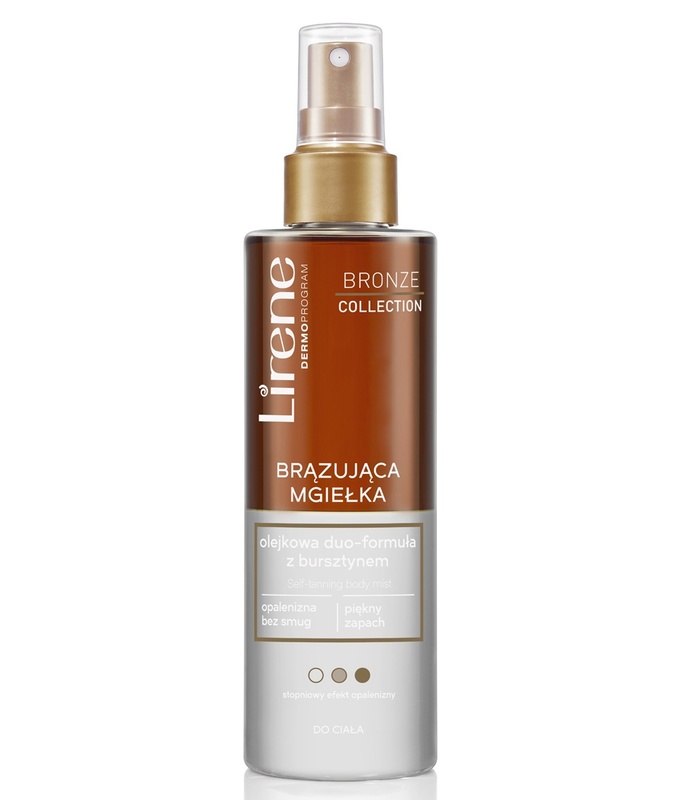 - Carrot oil and amber extract - stimulate renewal of the skin while regenerating it and restoring its radiance. - The moisturising AquaCell - ensures softness of the skin. It provides the effect of perfectly tanned skin, without streaks or discolourations in just a few hours. Tan intensity depends on the number of uses.